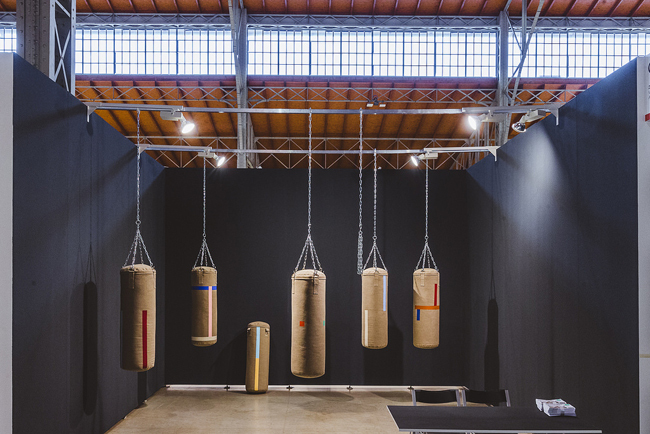 29,767 visitors – the official data coming from the organizers of viennacontemporary 2017 indicate that this year the fair has surpassed its own expectations, and, that in large part, it has fortified its position in the international art arena. 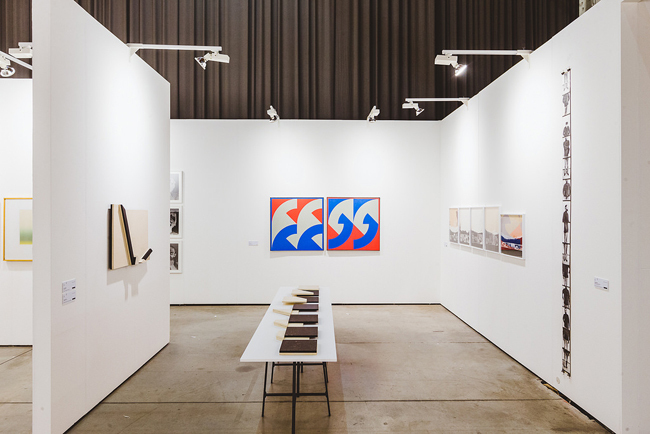 From September 21 to 24 the art fair gathered together galleries, curators, artists, collectors and art lovers, thereby earmarking Vienna as an influential destination for contemporary art. Declaring at a press conference that the viennacontemporary’s goal is to become the fifth most important art fair in Europe, this year the event presented 110 galleries and art institutions from 27 countries, featuring the works of more than 500 artists. 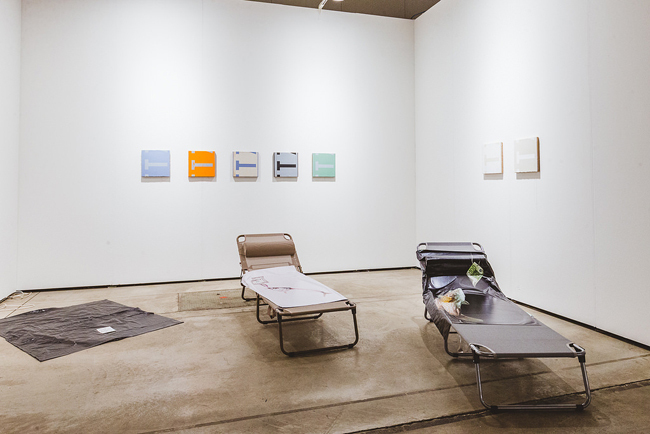 Special attention at viennacontemporary 2017 was given to Hungary’s art scene and the neo-avant-garde artists of the 1970s – in direct contradiction to the restrictions put in place by the communist regime of the time, these artists were open to Western art trends and rocked Hungary’s art community with protestations, conceptual photography, “mail art”, and other means. 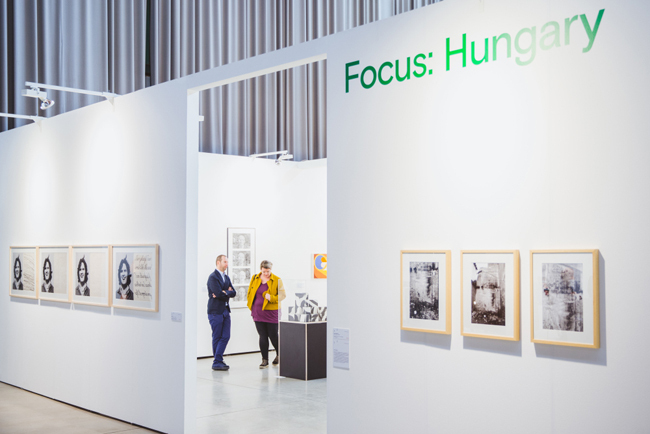 The exposition, put together by art historian and critic József Mélyi and three private Budapest galleries – acb, Kisterem, and Vintage Galeria – gave viewers the opportunity to see a whole decade’s worth of Hungarian art, and once again, served as a reminder of the still yet-to-be-fully-appreciated place of Eastern European art in the global artscape. Christina Steinbrecher-Pfandt, artistic director of the fair, revealed that choosing a thematic focus and then working on it usually takes several years. In this case, the choice to put the spotlight on Hungarian art was a decision that was made four years ago. We were unable to find out who or what will be in the limelight at next year’s fair, but Steinbrecher-Pfandt did not hide the fact that the Baltic art scene is a sure future contender. 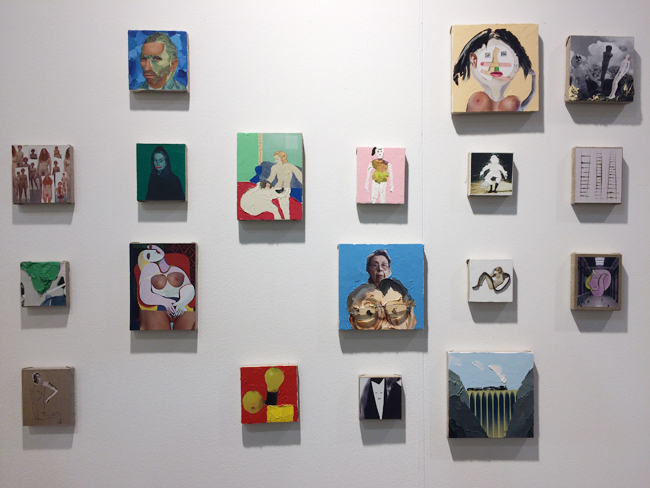 Although the fair has yet to release the official sales numbers, Arterritory did meet several gallery representatives and artists who acknowledged successful business dealings, among them the Riga gallery Māksla XO. 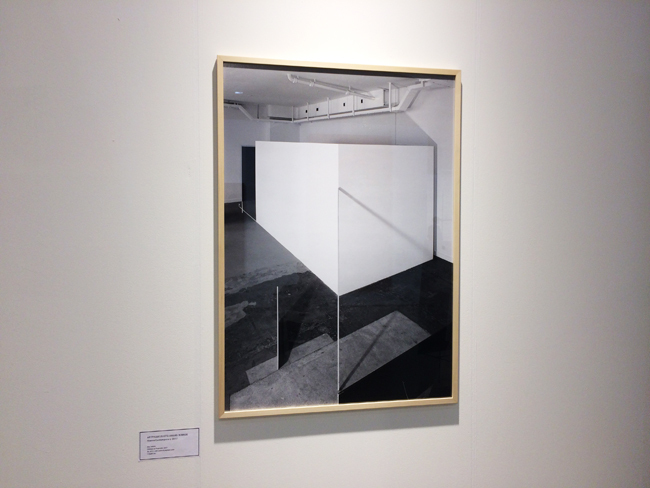 Having presented works by Paulis Liepa in their stand, the gallery was rather pleased with the results they achieved. It should be noted that the range in prices at the fair was quite broad. 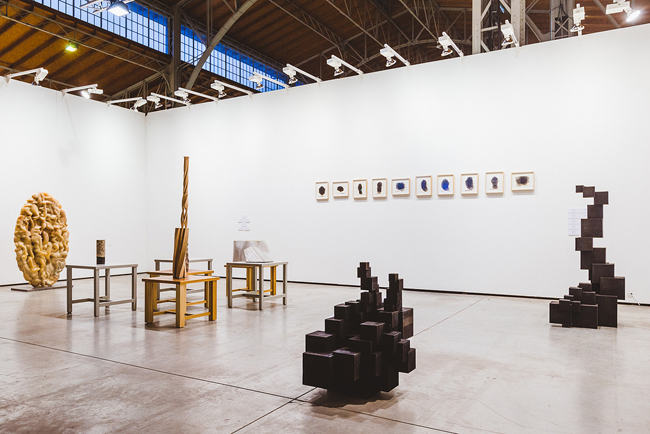 One could see in the booths of Austria’s leading galleries works by famous top-notch artists – sculptures by Antony Gormley and Anish Kapoor, works by Kader Attia, Marina Abramović, and Yayoi Kusama – and accordingly, prices that matched their makers’ star rankings. But right next to them one could also see booths of smaller galleries with much more grounded prices. A great factor in the discrepancies was due to the many works by emerging artists – a whole section of the fair, ZONE 1, was devoted to art created by Austria’s young and emerging artists, not to mention the fact that many galleries from other countries had also decided to feature art by new artists. In our surveying of the fair’s participants and visitors, the overwhelming majority spoke positively about the increase in quality of the 2017 fair. For instance, Ursula Krinzinger, director of Vienna’s Galerie Krinzinger and a member of the viennacontemporary admissions committee, described the fair as being much more elegant this year; she also placed emphasis on the Hungarian galleries which were invited to the Focus section of the fair: “Hungary’s galleries have created a fantastic, informative stand that displayed truly excellent works, in addition to having a perfect exposition.” Another vocal admirer of the Focus exposition was Vienna’s Hans Knoll, the director of Knoll Gallerie and an agent for several Hungarian artists. Volker Diehl, the director of Diehl Gallery, appreciates the fair’s concept: “It is clear and powerful: to unite Western Europe with Eastern Europe. And I think that due to Vienna’s geographical location, it is also the ideal place to do that. At viennacontemporary it’s possible to meet artists and see art that you wouldn’t see anywhere else.” Laura Rutkutė reminds us, however, that some countries, such as Poland, aren’t well represented at the fair. 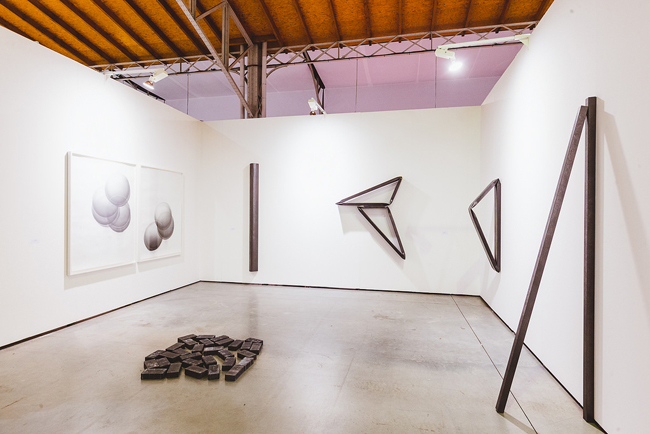 Arterritory.com also noticed that, even though viennacontemporary continues to position itself as an art fair dedicated to art from Eastern and Central Europe, the obvious majority of galleries presenting there are from Austria and Germany. Austrian galleries numbered close to forty, while German ones were about twenty or so. 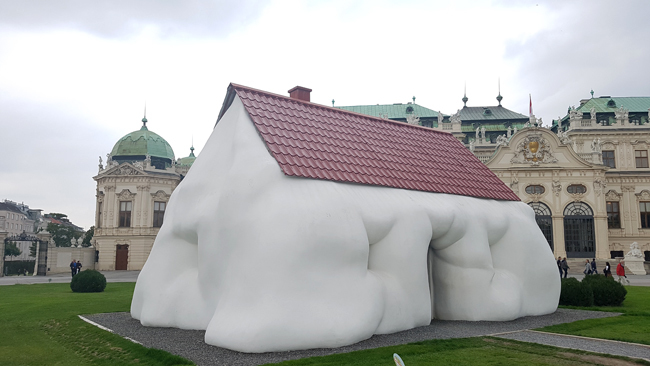 This leads one to wonder if the fair is perhaps veering away from its original intentions, and leaving the Eastern European art market by the wayside again. 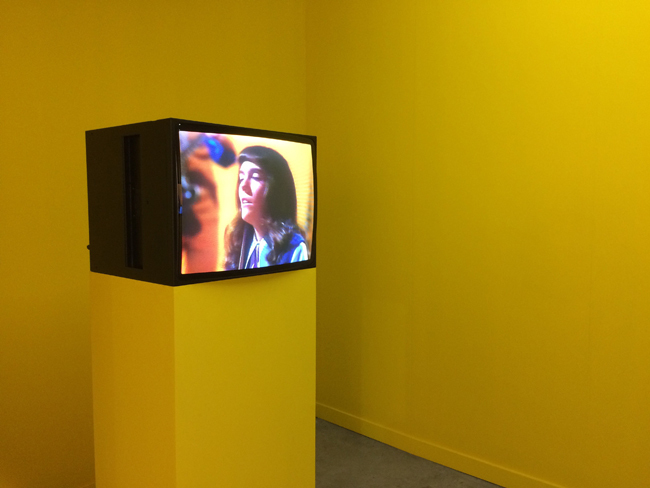 As Christina Steinbrecher-Pfandt said, during the weekend of viennacontemporary the city of Vienna offers more than 200 events geared to art and culture enthusiasts. According to your proclivities and endurance, you could dive into a flood of activities and happenings and just go where the current takes you – to museum openings, discussions, art tours, etc. Timing their schedules to the art fair, museums, curators and artists created events with the aim of showing their best. Much in the same way, Vienna’s collectors also opened the doors to their collections. Hans Knoll enlightened us to the fact that Vienna, a city of less than two million, hosts eight to nine art fairs a year, and a brand-new contemporary art fair has just appeared. The art market industry is growing, as is the number of Vienna’s art galleries – new local initiatives are popping up, and many foreign galleries (mostly from German cities, but also from Istanbul and elsewhere) are opening up subsidiary spaces in the Austrian capital. “In that sense, the ‘cake’ is becoming ever larger – the galleries that come here and stay here create new collectors. 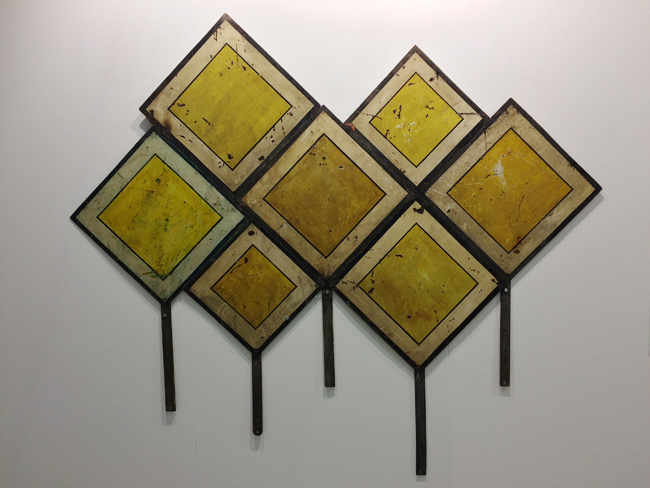 I’m just wondering if all of these fairs are also creating new collectors…,” comments Hans Knoll.